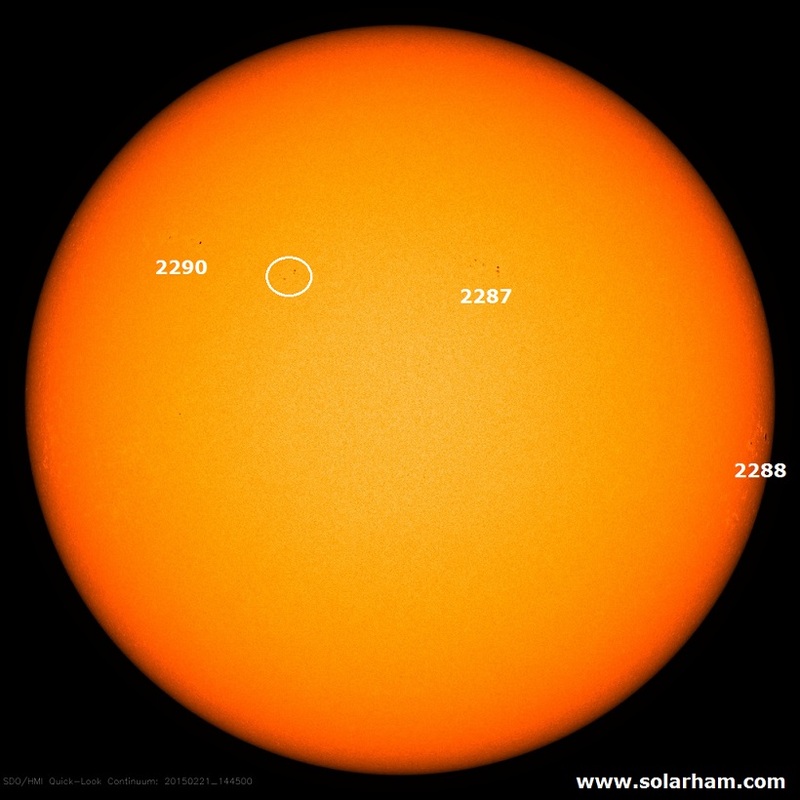 Solar activity was low with four C-class flares, mainly originating from NOAA active region (AR) 2286, which has currently rounded the west limb. The strongest flare was a C2.3 flare peaking at 15:22 UT on February 20. No associated solar event was observed. A filament eruption was observed starting on February 20 at 3:24 UT near S15E15, with a CME observed in LASCO/C2 (first clear measurement near 7:36 UT ) and in LASCO/C3 (first measurement near 12:06 UT). The very slow CME (nearly 200 km/s) was directed to the south with a less than 100 degrees angular width. No Earth-directed component is expected. Flaring at C-class flares is expected. Nominal solar wind conditions were observed, with the magnitude of the interplanetary magnetic field maximally at 7 nT. The solar wind speed is currently around 350 km/s. Geomagnetic conditions were quiet to unsettled (K=1 to 3) at the local level (Dourbes) and global level (estimated NOAA Kp), which is expected to continue for the next few hours. The arrival of the anticipated coronal hole high speed stream could result in active geomagnetic conditions on February 22 (K=4, with a small chance for K=5).